No matter how well behaved our pets may be, I think it's safe to say that most of them get into some mischief every now and again. Have you ever caught your pets being naughty? Perhaps you found Fido digging through the trash can or Princess unraveling the toilet paper roll in the bathroom. 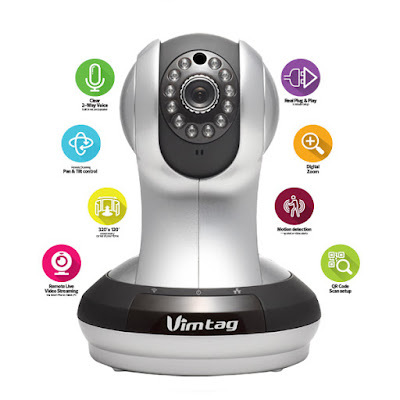 A while back, we first introduced our readers to the Vimtag Indoor Security Camera. This camera can be used to spy on monitor your pets using your smart phone to see what they are up to while you are away. You can listen in and even talk to your pets through the camera. The Vimtag camera also allows you to record video and take photos. After using this camera for several months, I am at ease knowing my pets are *mostly* well behaved while I'm not at home. 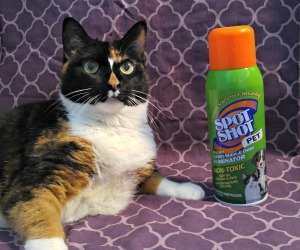 How to Enter the Naughty Pets Photo Contest - Snap a photo of your pet being naughty. Did you catch them doing something they weren't supposed to be doing? Enter your picture in the photo contest! Please do not purposely put your pet in harm's way for a photo. Photos must feature your pet - ALL types of pets are welcome to enter. You must own rights to the photo, and if you do not the photo will be disqualified. Photoshop is allowed. The photo does not need to be a new one - you are allowed to use an old photo. You may submit one photo. 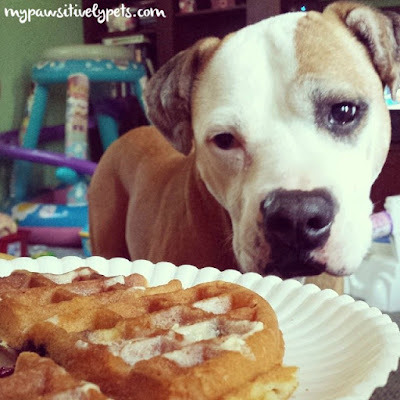 You mean I can't eat your waffle? 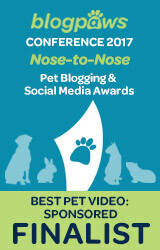 To enter, share your naughty pets' photos with us on our Facebook page or on Twitter. You can also send us an email at annstaub(at)yahoo(dot)com. Please share your pet's name and tell us what kind of naughty thing they are doing in the photo that you submit. By entering your photo in this contest, you give Pawsitively Pets permission to share your photo on social media and this blog. The Naughty Pets Photo Contest is open for entry from NOW to February 6th, 2015 at 11:59 PM CT.
How are the winners selected? 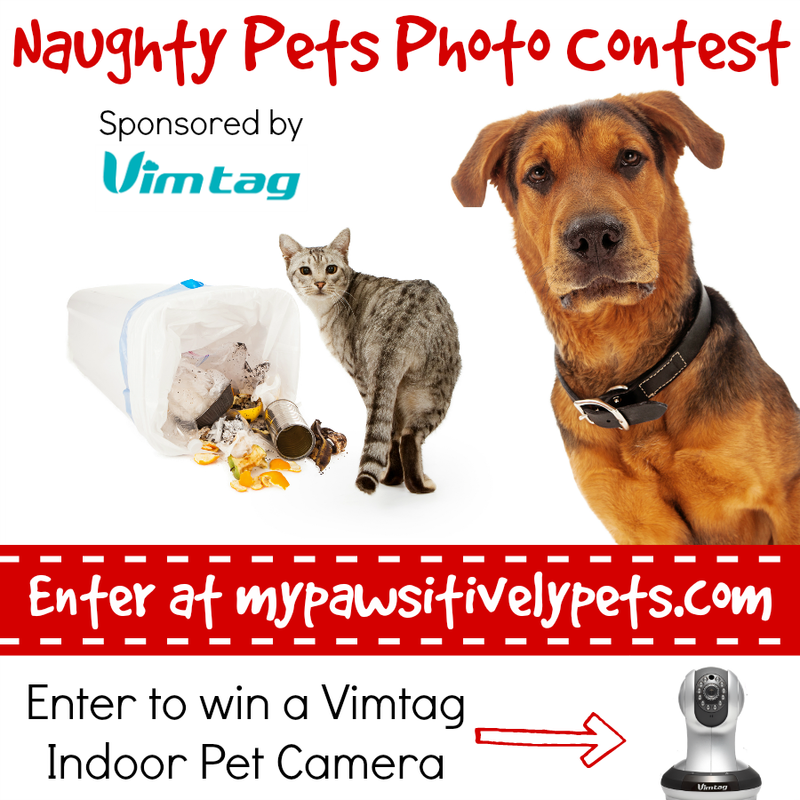 Rather than selecting a random winner like we do with most of our giveaways, the entrants of the Naughty Pets Photo Contest will be judged based on their naughtiness. Who can enter? US residents only, ages 18+. Void where prohibited by law. All types of pets are welcome to enter. Enter to win this camera! After the contest ends, the winner will be contacted. Winner has 48 hours to respond or their prize will be forfeit and we will move on to the next winner. 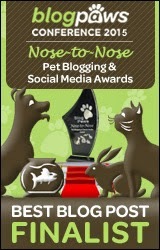 Pawsitively Pets reserves the right to cancel this contest without notice and substitute the prize. Pawsitively Pets is not responsible for cancellation of prize from sponsor. Shipping is NOT included. Winner is responsible for shipping fees, and will be sent a free discount code to purchase their prize on Amazon. You can view all of the Naughty Pets Photo Contest entries on our Facebook page in the "Naughty Pets Photo Contest 2015" Photo Album. For more information about Vimtag and the VT-361 Indoor Camera, CLICK HERE. Good luck to everyone and we can't wait to see what kind of mischief you've been up to! This contest is sponsored by Vimtag. We are being compensated to host this contest and spread the word about Vimtag, but Pawsitively Pets only shares information we feel is relevant to our readers. Vimtag is not responsible for the content of this article. Can't wait to see all the naughtiness! Now you know - I can send a coffee table top book of naughtiness on Jaxson LOL This sounds like fun and of course we're gonna play! Thanks for hosting Ann. Whoa! A photo contest where I don’t have to give up rights to my photo. Thank you! I gotta enter this although I’m never naughty. Guess it will need to be Photoshopped. MOL! Haha - well, I have enough photos of my own and I know sometimes people don't like that. Only rights you're giving up are for me to share it, which I'll be doing during the duration of the contest. I'll have to dig through our archives and see. Most of Mr. N's mischief is action-based though and he's a blur! It would be hard to choose a photo around here. Ooh! I wish we had a contest in Europe! We would love a chance to win that camera!!! Good luck to everyone!! I really want this camera! I just entered on your FB page but was disappointed in the way the photo looks in FB. It looks so cute on its own. I'm posting tomorrow on my blog too (and referring back to your blog). Thanks for entering! I just saw it :) I think it's a really cool picture with the angle. Plus, I don't have any like Pierrot's photo yet. I am sharing them all in a separate album so they can be viewed separately. But yea, when you share as a comment they look kind of "meh". You guys always have nice pictures! I love all of the photo coming in...now I know I am not the only one that has mischief dogs.